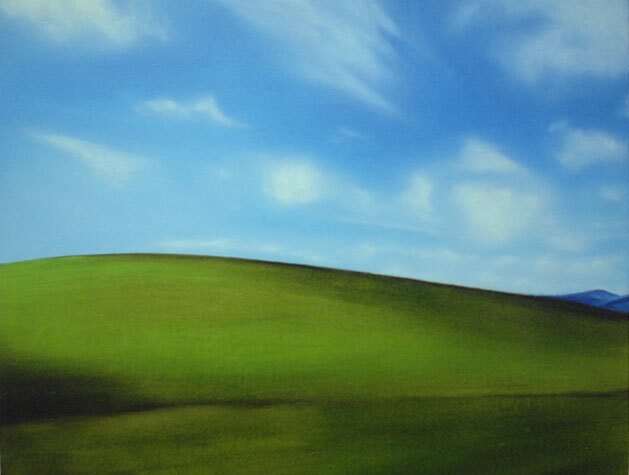 “Landscape/Dtp Bliss”, 2003 by Carlo Zanni. Oil on linen. See also.